Is the traditional Christmas Tree, making a bit of a comeback in recent years as an entry price product. Prickly to the touch, with that authentic Christmas smell, these make ideal outdoor or patio trees. 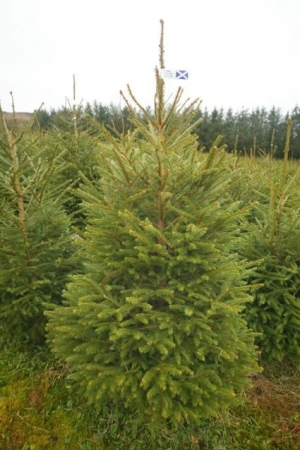 They don’t hold their needles like the firs or the Pine, but represent great value.